This Easter we are celebrating by hosting our second ever family event- a traditional Easter Sunday Lunch for all the family. With reservations starting at 12pm, guests will be welcomed to enjoy a delicious three-course meal in our Bertie Suite, whilst in the Bella Ballroom Jumping Jacks Parties will be hosting fun and games including an Easter Disco and Glitter Station. Guests have the option of choosing from a traditional Easter Sunday Roast or our normal menu, with a special menu for kids. 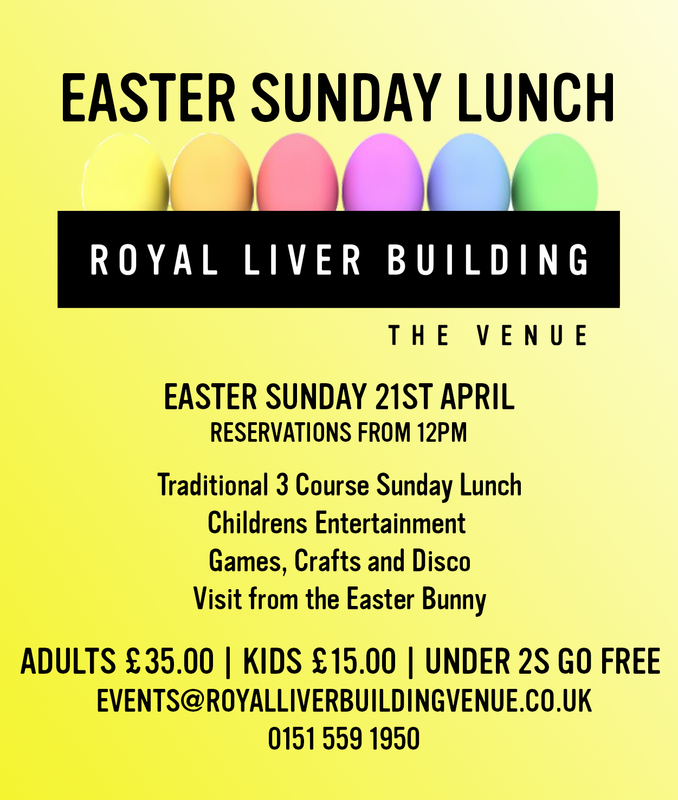 Not an event to be missed, take in the views from our Royal Balcony over Liverpool’s Waterfront, and enjoy a drink as bar service will be available throughout the afternoon, before a special visit from the Easter Bunny. Booking up fast- book ASAP to reserve a table at your preferred time!